With the publication of Pedagogy of the Oppressed, Paulo Freire established himself as one of the most important and radical educational thinkers of his time. 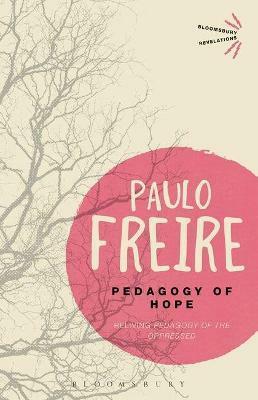 In Pedagogy of Hope, Freire revisits the themes of his masterpiece, the real world contexts that inspired them and their impact in that very world. Freire's abiding concern for social justice and education in the developing world remains as timely and as inspiring as ever, and is shaped by both his rigorous intellect and his boundless compassion. Pedagogy of Hope is a testimonial to the inner vitality of generations denied prosperity and to the often-silent, generous strength of millions throughout the world who refuse to let hope be extinguished.